Spending Your Summer In or Around Palm Beach County? Although the winter is the high season here in Wellington, this area has grown tremendously over the last decade, resulting in a larger group of year-round residents. There is a vast choice of fun summertime activities in Palm Beach County and along the coastline that graces our region. So if you’re looking for new forms of entertainment, we’ve narrowed down a list of our seasonal favorites. The Palm Beach area brags some of the best beaches on the southeast coast of Florida, all within a quick car ride of Wellington. With nearly 50 miles of coastline and beautiful beaches within reach, a day at the beach is a top priority for our local residents and vacationers. If there weren’t plenty of local options for a day on the sand, our beautiful region would not have been named The Palm Beaches! Although many beaches are private, there are gorgeous public spots such as the Breakers Beach, featuring pristine sand and beautiful coral for snorkeling. 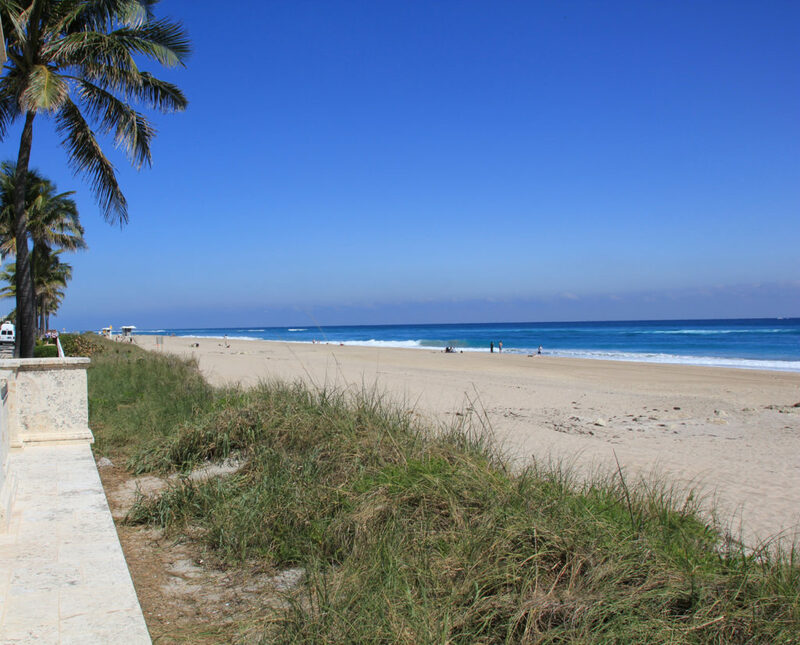 Directly off of Worth Avenue, there is also a popular public beach, or you can visit the famous Pier at Lake Worth. Hobe Sound offers more seclusion and is perfect for families who want a deeper connection with nature. If site-seeing is on your list, a quick jaunt to Peanut Island is of historical interest, as it formerly served as a cold war bunker for President JFK. 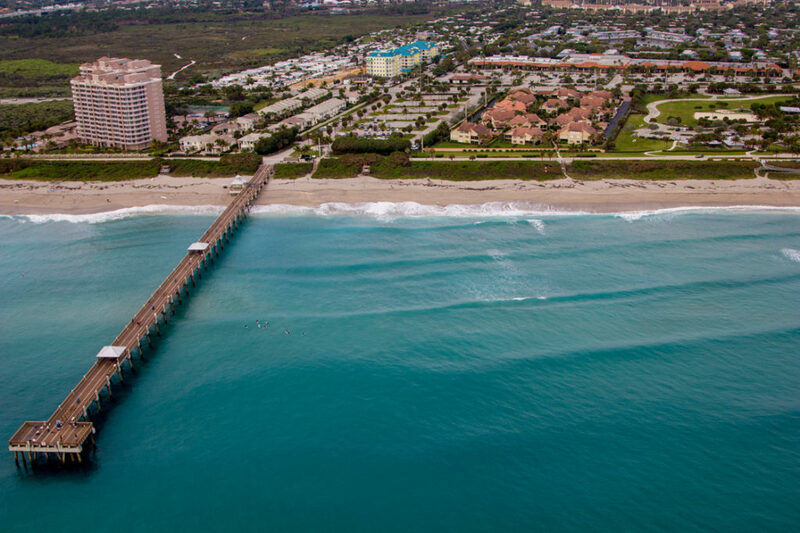 Aerial Jupiter Pier, Delray Beach & Worth Avenue Palm Beach. Photos Courtesy of The Palm Beaches. To the north of Palm Beach is the town of Jupiter, which boasts multiple destinations, each with their own distinct feel, such as Juno, Jupiter and Ocean Cay Beaches. 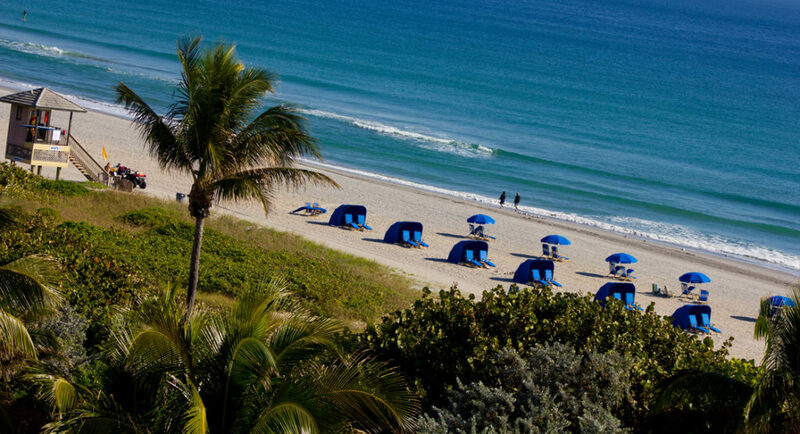 Delray Beach, just south of Palm Beach, is a separate day trip in itself. This charming and historic town has recently undergone a revitalization in the cultural arts, shopping, festivals and nightlife. The town is a golf cart community and has two miles of beachfront, making it a favorite destination for families. Heading further south, take in the beauty and Spanish architectural influence of Boca Raton, or travel just over an hour to take in the world-renowned nightlife in Miami Beach! Whatever your mood or taste, there are endless choices for a day on the sand or in the coastal waters of Palm Beach County. If you are seeking an experience in the arts or a concert, then Palm Beach is the perfect destination for this form of entertainment. Coral Sky Amphitheatre, a 20,000 seat venue located in West Palm Beach, hosts year-round concerts with national musicians such as Dave Mathews, Counting Crows, Rascal Flats and Miranda Lambert. Looking to cool down with some tasty libations? Then put July 21st on your calendar for the Palm Beach Summer Brew Fest! 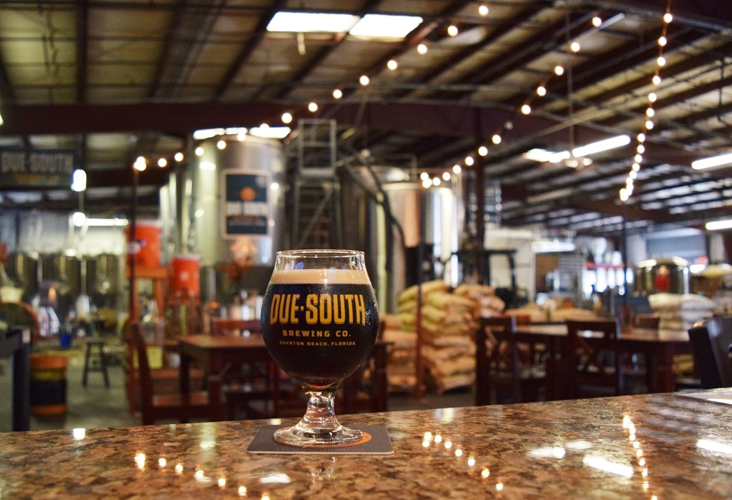 The festival celebrates local craft brewers and also has plenty of food trucks to pair with your favorite hop. If you’re in search of a more family-friendly festivity, then visiting the Japanese Gardens, Palm Beach Zoo or Lion Country Safari will be on your hit list. The zoo has over 500 animal species, some of which are endangered, and activities that allow you to interact closely with the animals. Want to get even closer? 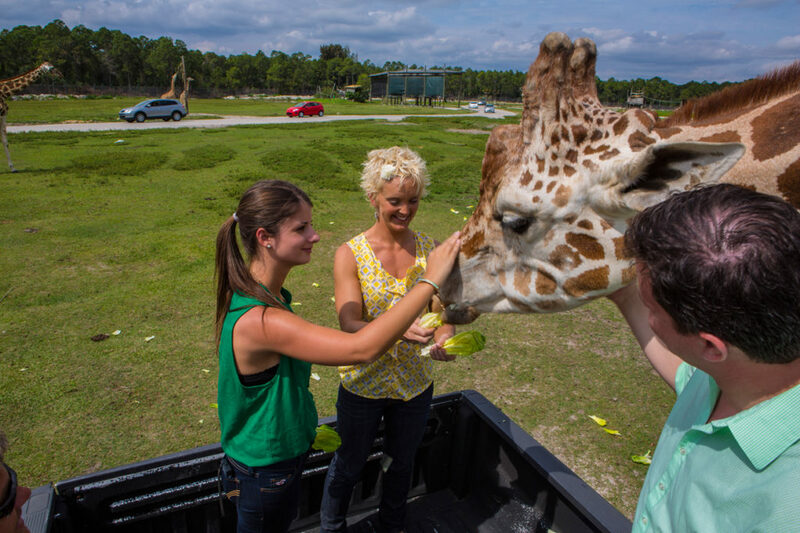 Then drive over to the Lion Country Safari where your family will drive through this amusement park with over 900 wild animals roaming freely! Thank you to the staff at Discover the Palm Beaches for sharing their library of photos and upcoming event information with us for this article. When coming to visit the Wellington/Palm Beach region, we highly recommend using their website as your primary resource for entertainment in our local community. The team at Wellington Equestrian Realty hopes you have a wonderful summer! Read more about the Palm Beaches!